JERUSALEM - The commute from Jerusalem to Ramallah is unpredictable at best. Big white commuter buses with green or blue stripes with Arabic script are parked just a few blocks away from the Damascus Gate, the main entry into Jerusalem's old city. It's 7:00 am, but the side streets leading to the outdoor bus stop are already packed with people. This crowded, noisy parking lot is the heart for commuters making the hour long trek between Jerusalem and Ramallah. The West Bank city is the seat of power of the Palestinian Authority. Hop on Bus 18 and you're transported into a different culture. The driver speaks only Arabic, many passengers are reading Arabic books, and traditional Arabic music is playing on the radio. The 25km trip costing the equivalent of $2.50 Cdn, is the simplest way in and out of the West Bank and hundreds of travellers make the trek every day. The traffic intensifies as the bus inches towards the Kalandia border, the largest and most frequented checkpoint between Israel and the West Bank. Graffiti covered grey concrete walls tower over one side of the road, extending as far as the eye can see. A military watch tower dominates the traffic circle leading to a small checkpoint guarded by Israeli soldiers. Within a few minutes, the commuter bus is waved through. Going into the West Bank is usually a breeze. 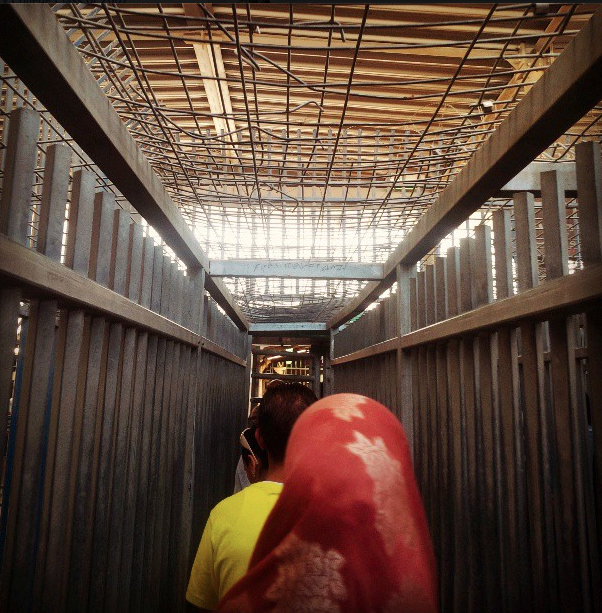 Getting into Israel again is a completely different story, especially for Palestinians. The bus returning to Jerusalem stops near the border and several passengers, including young children and the elderly, grab their belongings and hop off to go through the checkpoint on foot. At the second and final stop, Israeli troops with weapons strapped across their chest, board the bus. Only a few international passport holders, and people with a blue Israeli identification cards are permitted to remain on board. The soldiers are making sure unauthorized travelers, including Palestinians without a permit, are not granted entry to Israel. The highly militarized Kalandia checkpoint acts as a deterrent from entering Israel. 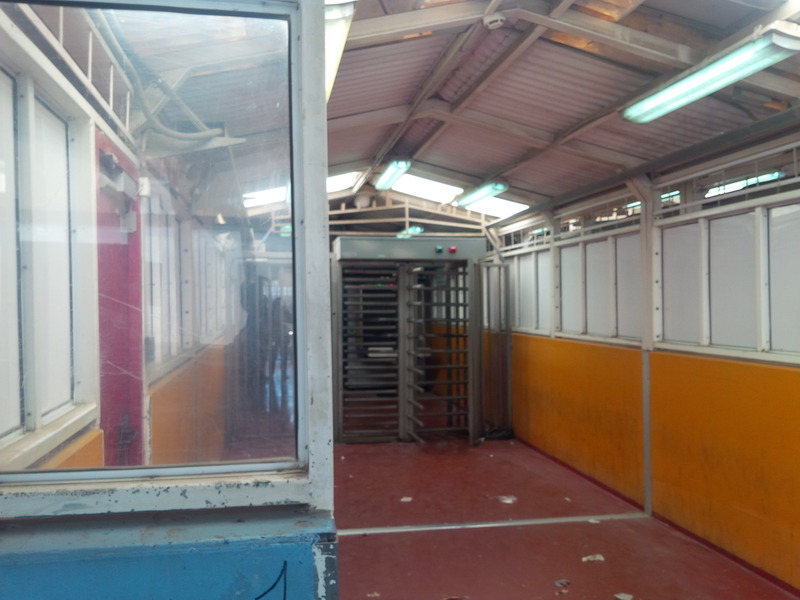 The border crossing demonstrates how Palestinians are viewed and treated by many Israeli authorities. More than 300,000 Israeli citizens live in controversial Jewish settlements in the West Bank, according to the U.N. Office of the High Commissioner for Human Rights. They are permitted to stay on the air conditioned buses, while most Palestinians are required to spend hours in the heat waiting at the checkpoints. 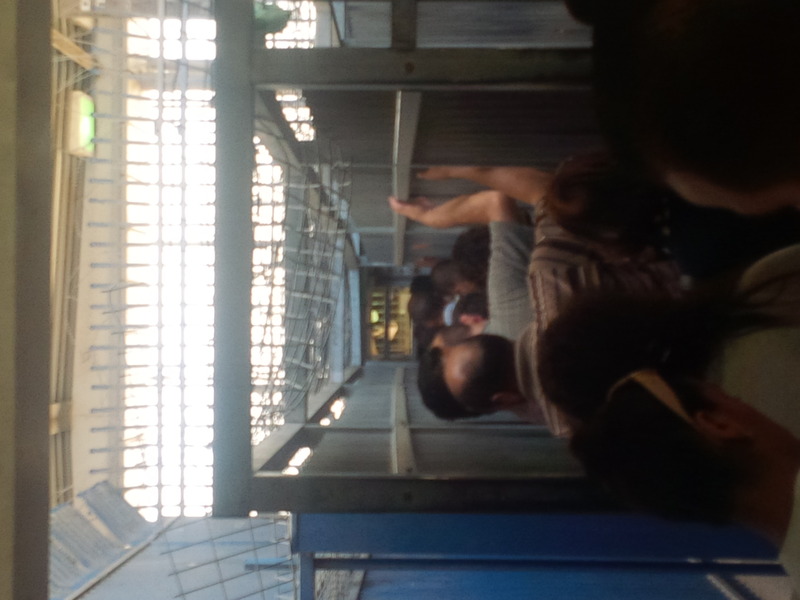 The unpredictability of the checkpoint makes holding a job or an appointment in Israel quite challenging. On this trip, however, three of us with foreign passports were pulled off. A young IDF soldier took our passports and visas and shouted at us in Hebrew to go through the checkpoint on foot. When I asked why we were being targeted, the soldier would only respond in Hebrew until finally one who spoke English told us flatly that it was the rule. That's the only explanation we were given. It is probably worth reminding ourselves, that Israel faces serious security threats daily in this area. In these circumstances overzealous conduct may be forgivable. Israel's military says checkpoints like Kalandia are needed to protect Israeli citizens living in the occupied territories. The checkpoint and the separation wall are often cited by fovernment officials and members of the IDF as one factor that has reduced suicide bombings in Israel. Vendors selling fruit, water and even pillows stop us as we make the 400 metre journey from the bus to the barb-wiredpedestrian checkpoint. Once inside, travellers are corralled along a winding, metal railing that organizes them into tightly packed lines as they inch toward the checkpoint for foot traffic. Sometimes this area can be crowded with upwards of 1,000 people. 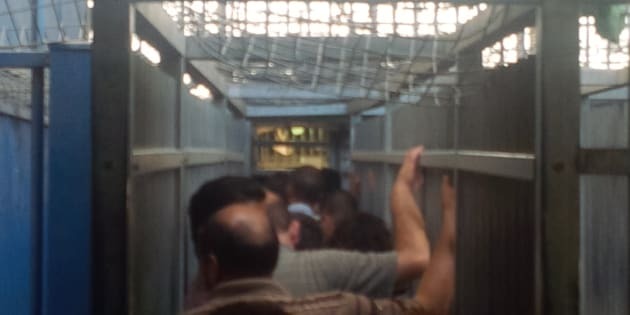 Three long metal chutes about seven feet high and four feet wide, with barbed-wire roofs open to the sky, herd travellers towards turnstiles, controlled by Israeli military, towards the metal detector. Most of those waiting resting their arms or backs against the cold, iron rails are men, but there is little chatter. The sound of a small child and his mother seems incongruous. The atmosphere is eerily prison-like but it is routine for so many people. After about 20 minutes, the light on the turnstile switches from red to green and we being to move forward. The light goes back to red and the line stops moving. A few minutes later a women dressed in a floor-length maroon coat, with bright red lipstick and a colorful hijab walks towards us. The IDF had rejected her entry into Israel. The woman and her companion were forced to walk back through the turnstile at the end of the metal cage, past the dozens of people waiting in line. The humiliation and frustration on the woman's face was heartbreaking. One could tell she was holding back tears. A woman with large pearl earrings sipping a can of coke is waiting for us at the security desk once we finally get through the turnstile and the metal detector. The soldier, speaking into a microphone from a room with bulletproof windows, instructs us to press our passports against the dirty glass window as thousands have done before. The solider visually scans my passport, then shifts her focus to the computer and begins typing away. A couple minutes later, she looks back and asks to see my Israeli visa. Having spent an hour in the process, I am through on to Israeli soil. In retrospect, despite the nervousness that hit me after being ordered off the bus, the experience was worth it. It opened my eyes to the drudgery and humiliation endured by so many Palestinians.